Our plants are strategically located along the main industrial corridor in Mexico: Monterrey, Ramos Arizpe, San Luis Potosi and Toluca, and they are equipped with ample rail spurs. 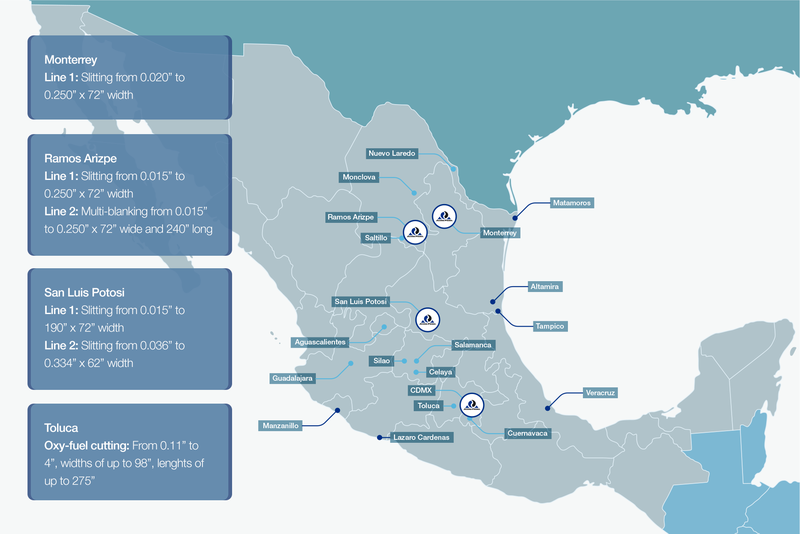 We have operations in Mexico’s main ports such as Altamira, Tampico, Manzanillo, Lazaro Cardenas, Veracruz and Brownsville, and on the borders of Nuevo Laredo, Matamoros, Nogales and Mexicali. We offer vessel unloading, storage, and logistics services, among others. Place the pointer over the plant for more information.